Proprietary Name: Childrens Loratadine Oral What is the Proprietary Name? 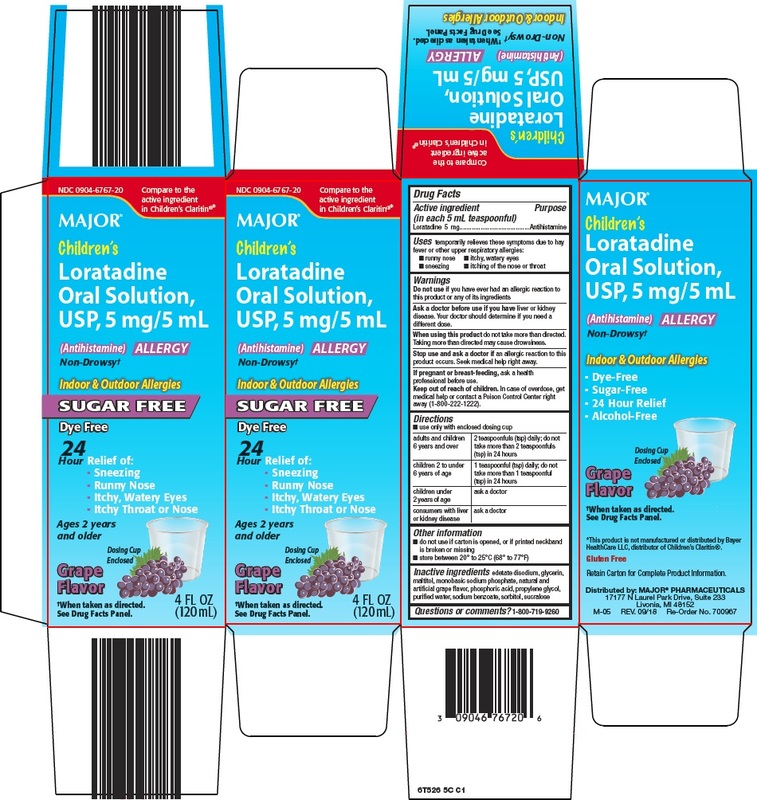 Childrens Loratadine Oral with NDC 0904-6767 is a a human over the counter drug product labeled by Major Pharmaceuticals. The generic name of Childrens Loratadine Oral is loratadine. The product's dosage form is solution and is administered via oral form. FDA Application Number: ANDA075728 What is the FDA Application Number?